Happy new year! 2017 is another year with lots for me to look forward to. 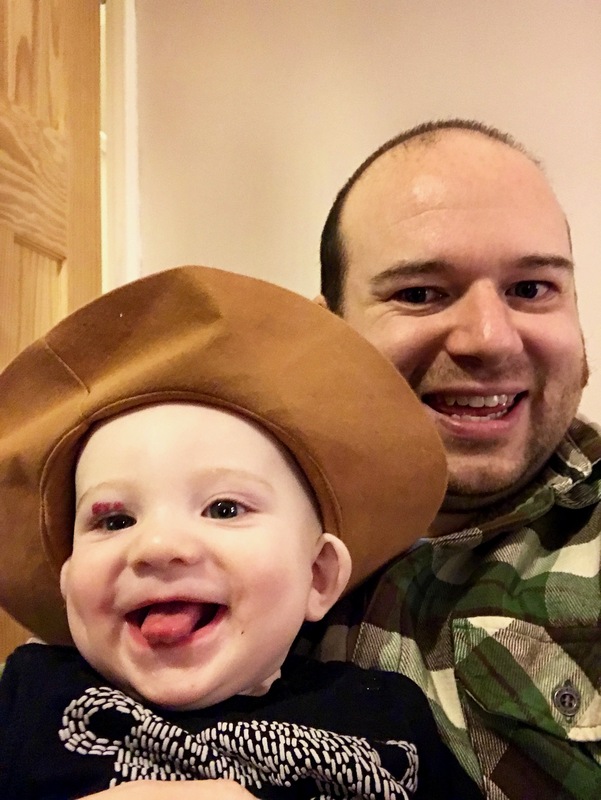 I am most excited about taking April and May off work to spend time with Owen – thanks to the newish shared parental leave policy in the UK. Owen should be big enough to go in a forward facing child seat, meaning he can join me in the MR2. I also plan to get a trailer or child seat for my bike, so Owen will be able to get an introduction to cycling too. Even if Owen/reality don’t share my sportscar/cycling vision for our 9 weeks together, I’m sure it will be great father/son bonding time. We already have a couple of trips away planned for 2017 – our usual trip to Croyde, which will be our first as a little family. Jen and I are looking forward to introducing Owen to our favourite places in North Devon. Then in October, we are going to Cyprus – which will be Owen’s first trip on an aeroplane! The reason for our trip to Cyprus is that my best friend Partho is getting married and his fiancé is from Limassol. I will be best man at the wedding and will have my work cut out as Partho did such a good job of being my best man. Another good friend, Rich, is getting married in April, so that will be Owen’s first wedding. Two weddings also means two stag dos – I am especially looking forward to Partho’s, which I am organising. Another task I have for 2017 is to redesign my website. I have already made a start on this and you will hopefully see some changes in the next few weeks. Get my weight under 90kg – and keep it there. Jen bought me some brilliant Withings connected scales for my birthday, so this will be easy to track. This morning I weighed 90.8kg (down from 91.6kg a few weeks ago), so I haven’t got too far to go, keeping my weight down will be the harder bit. Do a trackday at a new track in the MR2. Ride my bike at a new trail centre. Ride the full Follow The Dog and Monkey Trail loops at Cannock Chase in one ride. Get out on my bike with my camera. Make yoga a part of my weekly routine. After seeing my 2016 cycling data infographic I’d like to clock 100 active days and get at least 1x Everest of climbing, after I missed by 5% last year – I can’t believe that some people can do as much climbing in one ride as I do in a whole year. To help with my cycling goals I am going to buy a new bike, as I’m still on the cheap bike I bought to see if I would regularly use a mountain bike – over 3,500km later I think it is safe to say it has had a lot of use. Like the start of 2016, the weather has been rubbish today – we haven’t even left the house. We have managed to have a productive day, tidying and childproofing our front room. As Owen is going to be crawling any day soon I’ve had to pack away my surround sound system, which has speakers on little stands – perfect for little hands to pull over. I have replaced it with a Goodmans Soundbase, which sounds great considering the £75 price tag. I did manage to find time to take a silly selfie with Owen. This entry was posted in Personal and tagged iPhone, Owen, Photo by Lewis. Bookmark the permalink.